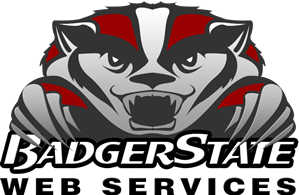 Description: Badger State Web Services is fast growing as a decisive and trusted Information Technology Firm offering services in the areas of Software Development, E-commerce, Website design & Website development, Search Engine Optimization, Internet Marketing services. Job Description: Badger State Web Services is looking for an enthusiastic, motivated sales people who enjoy the relationship selling environment. We offer you the opportunity to use your creative design skills and sales experience to provide unique and exciting decorating solutions to our customers. We are looking for a well networked and respected sales leader in the web services industry who from day one can generate top sales growth and build upon our practices current market share. In this role, the Sales Executive is responsible for generating revenue per internal financial targets by forming strategic partnerships with clients, identifying new client opportunities, participating in the development and execution of our strategic plan to sell web services and drive opportunities through the entire sales cycle through closure. Our web services are as follow but not limited to, Website Designing and Redesigning, Website Development, Web Coding/ Programming, Database Development, Web Applications, Content Management system, Web Hosting, Domain Registration, Web Maintenance, E-commerce Services, Search Engine Optimization, Web Marketing / Internet Marketing (Complete Web Traffic Solution ), Web/Online Research, Content Copy Writing and Optimization, Logo Design, Graphical design and support. We are looking for candidates who can work only for commission basis OR Minimum salary + high commission basis. They can work on Fulltime OR Part time from our office. Remote & Work from home option is also available. · Tangible experience in Web technology industry. · Extensive experience selling Web Design, SEO services, Content Management, software development services, Web technology, Web sites, and High-End Internet Design, Graphic Design, & SEO sales and services to small, medium and large corporations. · Good contact and network with web services industrial clients. · Oversees all major account activities and RFP responses. · Hands-on experience managing SEM/SEO campaigns and Strong domain/web/search engine advertising experience. · Maintain and manage relationships with any web-analytics, tracking, or SEM bid-management vendors. · Must experienced and comfortable making outbound telephone cold calls to all types of businesses and responding the client inquiry calls. · Attend trade shows and industry events to generate new business via partnerships and end client. · Marketing and developing company brand recognition through direct selling, networking, advertising, etc. · Excellent cross-functional collaboration and communication skills. · Successful track record and Requires good sales and marketing experience with a Web Design, SEO, web technology, Content Management, software development services Software and Web services industry. · Aggressive, results-oriented professional with industry experience in web services. · Must possess a strong sense of customer service and excellent verbal and written communication skills. · Must have the ability to leverage current business relationships and build new ones. · Previous experience in selling web services is required.· Posses urgency to close business. · Responsibility for day-to-day management of client accounts and the ability to negotiate contracts and close the point of sale. We need people who have availability on a regular basis and can turn around projects quickly, professionally and with high quality. If you excel at one or more of these areas, please send a cover letter, project rate, hourly rate, and link to design portfolio to jobs AT badgerstateweb DOT com. We inspire our people to solve real problems, to be authentic, have fun and create something life changing. We’re looking for amazingly fun, super nerdy, and uber-talented people to work along side of us and join the Badger State Web Services team. Email us your cover letter and resume to to jobs AT badgerstateweb DOT com.